If the Industrial Revolution gave rise to the self-made man, then one could rightly argue that the digital revolution has given rise to the self-sufficient Millennial. Rather than middle-aged industrialists, however, this movement is being led by young men and women in their 20s and 30s, often with a high level of education (see Fig 1), throwing themselves into start-ups, sharing economy jobs and freelance gigs, spreading themselves across all bases and sectors with one key motivation in mind: the need for flexibility. The figures speak for themselves. According to a Princeton University study, 94 percent of all new jobs generated in the US between 2005 and 2015 came about through the gig economy. A study from 2016 entitled Freelancing in America noted that 55 million Americans – 35 percent of the country’s entire workforce – now work in a freelance capacity, contributing a whopping $1trn to the US economy last year. By 2020, 40 percent of the US workforce is expected to be made up of independent contractors. Over in the UK, self-employment has likewise risen, soaring from 3.8 million in 2008 to 4.6 million in 2015. An ever-greater percentage of workers are now self-employed and spending their working hours on freelance work (see Fig 2), according to the Office for National Statistics. While that’s arguably an exaggeration, it’s clear that change is on the horizon – change that will have consequences for companies as well as individuals. Last year, 40 percent of global employers reported a talent shortage, marking the highest level since 2007, according to research by Manpower. This raises an interesting question: are companies doing enough to cling on to a generation that prioritises flexibility and embraces entrepreneurialism? In order to answer that question, we need to look at the key factors driving the trend. Among the biggest is the loss of job security and benefits that the financial crisis helped propel, according to Dan Schawbel, founder of research body Millennial Branding. But it’s also a question of freedom, with desire for flexibility now ranking as the number one reason people choose to work for themselves. In turn, this is partly driven by the pressures of too much work, according to Schawbel. Gig workers, by comparison, log an average of 36 hours per week, according to the Freelancing in America study, which is more in line with the working patterns of yesteryear. Then there’s the issue of job satisfaction; a desire for fulfilment that goes beyond the practical benefits and salary considerations that motivated previous generations. This has been brought about by a confidence-enhancing, praise-focused style of upbringing, according to Krassi Popov, founder of US mobile charging start-up Veloxity. It’s little wonder most stick with it, with 79 percent claiming freelancing is better than traditional employment and the majority (63 percent) having found themselves there out of choice rather than necessity, according to Freelancers Union, a body representing independent workers. However, it’s not just about the mentality – advances in technology have brought the possibility of self-employment to just about everyone. One-man-bands can now launch start-ups without a mountain of savings, while freelancers can find work online via sites such as Upwork (the world’s biggest platform for gig workers) within the space of minutes. The sharing economy, meanwhile, offers a host of other opportunities; five million UK citizens have been provided with paid work from the sector, according to a 2016 Ipsos MORI survey. All of this is leading Generation Y to mix things up, taking an axe to the traditional career path of a full-time, salaried job for most of one’s life, with consultancy and freelance work a form of late-career semi-retirement. It’s not just individuals driving this change, of course. While some businesses are struggling to recruit, others are reaping the advantages of an endless selection of freelance, zero-hour workers, saving on the likes of sick pay, annual leave and other benefits associated with permanent staff. In a survey carried out by oDesk, 76 percent of employers said they took on remote workers because they were less expensive, 46 percent claimed they could get the job done more quickly, and 31 percent cited difficulties finding local talent. In the case of the UK, this also means businesses can cut their tax bill, eradicating the 13.8 percent employer National Insurance (NI) that they’re tied to for employees. “How to close that huge gap without causing wider problems is what our limited capacity for anxiety should really prioritise,” argued Torsten Bell, Director of the Resolution Foundation, in a blog post earlier this year following a widespread debate over raising NI rates for the self-employed. As that debate suggests, how to adapt to this new workforce is arguably one of the biggest challenges facing the economy and businesses within it. In the UK, lower NI rates for the self-employed have traditionally been a means of encouraging business development for the health of the economy. Now they’re starting to create friction, with some believing the model is outmoded. “An employee earning £32,000 ($43,344) will incur between him and his employer £6,170 ($8,356) of NI contributions. 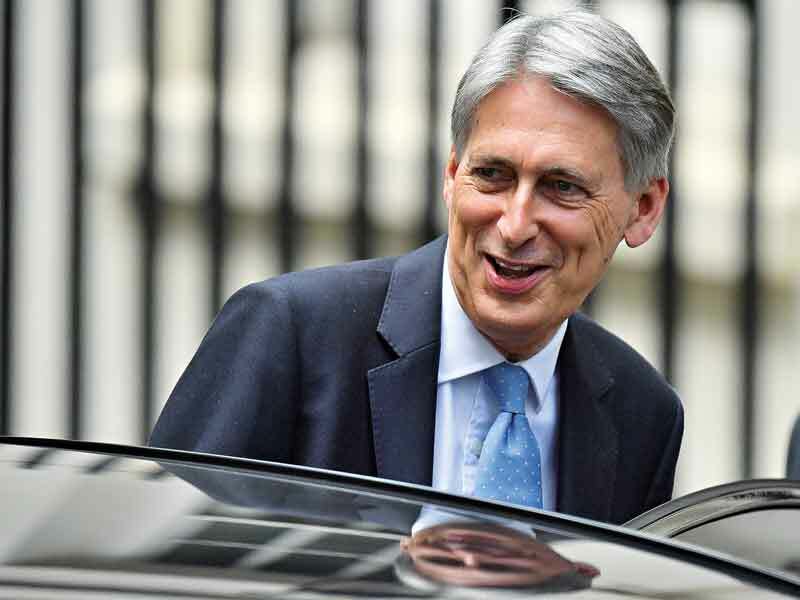 A self-employed person earning the equivalent amount will pay just £2,300 ($3,115) – significantly less than half as much,” said UK Chancellor Philip Hammond in a speech this year ahead of discussions to raise NI. He argued that the lower level of NI was forecast to dent public finances by £5bn ($6.5bn), negatively affecting the 85 percent of the workforce still in full-time employment. Then there’s the issue of potential tax avoidance. Taxing the self-employed relies on the honesty of the individual in filing accurate returns, and tracking honesty isn’t easy. “Company owner-managers… along with the self-employed… have more opportunities to avoid or evade taxes,” wrote economists Stuart Adam, Helen Miller and Thomas Pope, in the Institute for Fiscal Studies’ Green Budget 2017 document. If it’s true that lower earners contribute less to the economy, then a freelance-heavy market could end up with a very large hole. One thing is certain – freelancers are definitely earning less money. 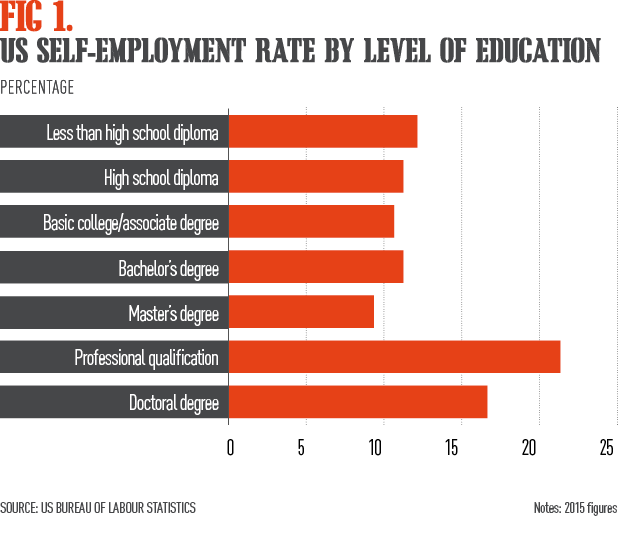 A study by Workplace Trends found that almost half of the self-employed respondents were earning below what they made as full-time workers, and 63 percent racked up less than $30,000 a year. What’s more, data compiled by the UK Government revealed that collective earnings by independent workers fell by £900m ($1.1bn) in the seven years to 2015, in spite of the fact that numbers within that self-employed group rose by more than 700,000. So, while the likes of Mark Zuckerberg and Uber co-founder Garrett Camp might be all over the media with their multibillion-dollar net worths, most gig workers appear to be scraping the barrel rather than hitting the jackpot. And it’s not just the wider economy that could feel the impact, but the larger businesses operating within it – the very entities who are driving the change. For a start, companies have less control over freelancers, who likely have several other commitments on the go and may not be able to invest the same commitment as a full-time employee. Creating a firm company culture can also be challenging when staff turnover is high, as can trusting workers with sensitive data, given they might well be working for competitors too. Then there are the issues around determining who’s a contractor and who’s a full-time employee. In 2014, businesses in the US forked out a total of $79m to more than 100,000 workers after it was concluded they were employees rather than independent workers. These snags suggest relying on freelancers isn’t necessarily as rosy as it might first seem for companies. It seems, then, that a combination of freelance workers and full-time employees is needed if individuals and businesses are to continue benefiting from the perks of using or being both without upsetting the balance. But how companies maintain that balance among Millennials and other workers who are increasingly seduced by the idea of a flexible role, where they can be their own boss, is the real challenge. Of course, if flexibility is the main driver, then a large part of it comes down to flexible working policies that turn the traditional, hierarchical model on its head and give employees the freedom they’re crying out for. Given the apparently low levels of pay and other sacrifices that self-employment entails – especially in the US, where obtaining health insurance without an employer is troublesome – this might well be enough to draw them back in. Several companies are taking the right steps. 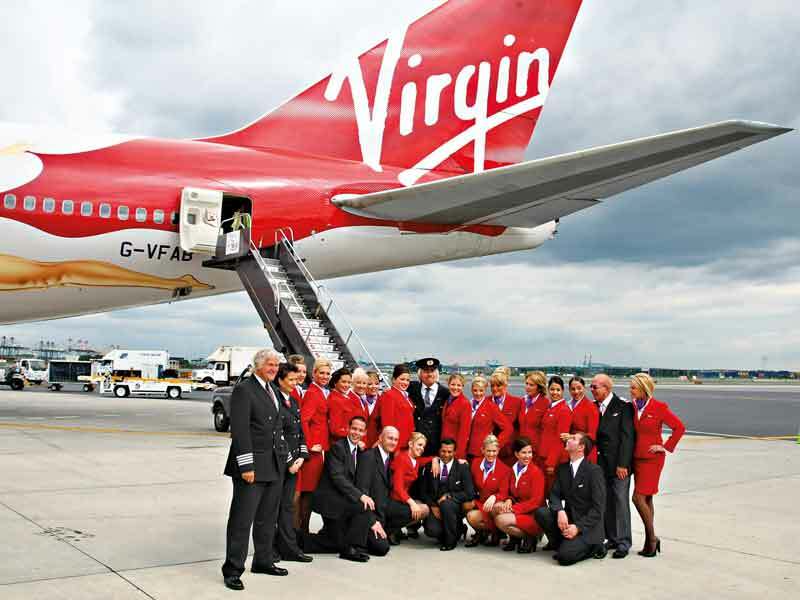 Virgin implemented its unlimited holiday policy in 2014, in which staff can take leave whenever they want and for as long as they want – being judged solely on the quality of their work, not the time they spend doing it. Twitter later followed suit, and a host of others have since joined the fray, recognising that spending all day sitting at a desk for the sake of appearances can’t go on for much longer. There’s a handful of companies encouraging flexibility in other ways too. Insurance company Swiss Re has taken its own line, encouraging staff to work remotely and flexibly under its ‘Own the Way You Work’ programme, while health insurance giant Aetna has 43 percent of its staff working from home. American Express, meanwhile, has its BlueWork programme, allowing employees to work either from home, on the road, or in a traditional office environment – whichever makes them most efficient and content. All of these give employees the chance to live some of the key elements of the freelance lifestyle without sacrificing stability, and without negatively impacting the economy. 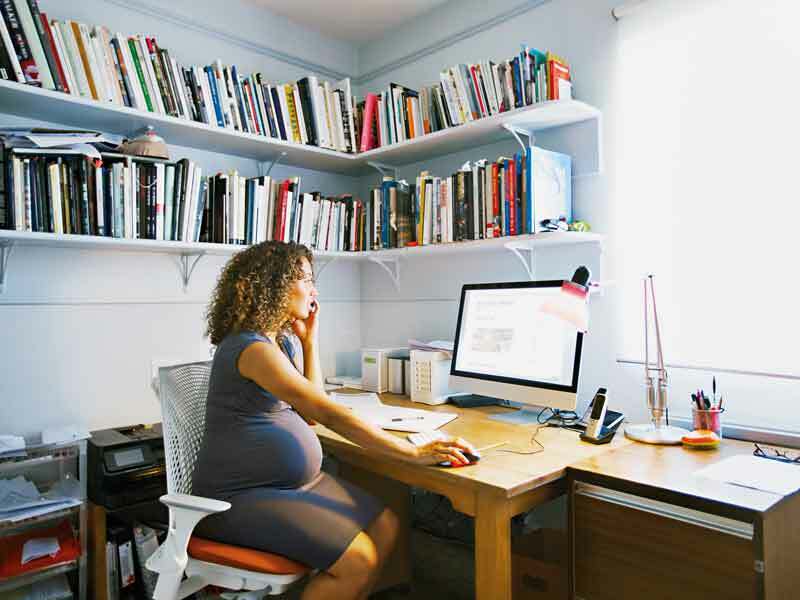 Simpler measures that companies can take include extending maternity and paternity leave – one of the key differences between full-time and self-employment, according to Schawbel. That’s especially true in the US, where employees get less than three weeks of maternity leave at an average full salary rate – among the lowest in the developed world. One of those setting a precedent is Netflix, whose unlimited paid parental leave programme enables both men and women to take however much time they want during the year. Then there’s Amazon, which offers a ‘leave share’ programme, allowing employees to dish out up to six weeks of their own paid paternity leave to their partner (out of a total 20 weeks). Google, meanwhile, offers $4,000 in ‘baby cash’ to new parents. It’s this type of approach that’s needed if companies are to attract skilled workers of both sexes and retain company loyalty. There’s still a way to go, however, and while the tech sphere is leading the way with its progressiveness, others remain stuck in the past. One in four employees in a Polycom study entitled The Human Face of Remote Working said their company didn’t offer flexible working, with only 32 percent regularly working from home – despite the apparent advantages (63 percent said they were more productive, and 70 percent said it improved work-life balance). Many believed clearer policies for flexible working were needed, and that technology needs to be ramped up. “More businesses need to be able to offer collaboration tools – to enable that human contact that people crave – or risk losing out to those businesses [that] are able to offer flexibility and have access to talent and retain talent as a result,” said Mary McDowell, CEO of Polycom, in response to the findings. It’s not just about flexibility, of course. Leadership styles, workforce structures and ethical attitudes need to change too, if companies are to attract and retain workers at a time when being your own boss is a real possibility. The element of meaningfulness is perhaps the biggest factor; Deloitte Global’s recent annual Millennial survey found that “Millennials believe multinational businesses are not fully realising their potential to alleviate society’s biggest challenges”. And if they don’t believe in the company, how likely are they to stay when self-employment is such a viable option? Of course, making these changes isn’t something that’s going to happen overnight. Shaking up decades of hierarchical, set-in-stone structures will take time. But with Millennials now the largest demographic in today’s workforce, we’re surely about to see some big changes in the way businesses are run. If they manage it successfully, full-time employment will continue to have its place – arguably in a better state, with employees adopting the type of entrepreneurial, self-motivated spirit the freelance lifestyle demands. If they don’t, predictions that the workforce will become almost entirely freelance might just win out. If that’s the case, governments will need to take action to protect an economy whose fate hangs in a very delicate balance.